Don’t wait until April to begin thinking about your taxes. If you drive, there are things you do every day that could get you a tax deduction. Learn about these write-offs before you miss out! April 15th is not the time to start thinking about your taxes. There are things you are paying for all year long that could affect your return this season. You could even be driving your most valuable tax asset. There are many auto-related tax write-offs that you probably never knew existed, especially if you often use your car for work or business. Most personal use of your car isn’t tax deductible, but professional use certainly is. Your car might be able to make you more money than you would think. Check out these auto tax deductions you definitely don’t want to miss out on. You might even do one or more of these things every single day. There are a lot of terms flying around in this section so let’s take a second to define some of them. According to the IRS’s Publication 463: Travel, Entertainment, Gift, and Car Expenses, your “regular or main job” is your dominant place of business. If you have two jobs, you will have to decide which job is your “regular or main job” and which job is your “second job.” Think about how much time you spend at each job, what kind of activities you do at each job, and the overall income you bring home from each place you work. Your main job is probably the place where you spend the most time, are the busiest, and make the most money. Another term used here is “temporary work location.” This refers to any place you are assigned to work outside of your regular job. For example, if you work in the suburbs and are assigned to attend a one-week training session in the city, this city location would be considered your temporary work location for the week. Okay, that’s it! No more terms! Now I have some good news: You can get some major tax write-offs for driving your car around for work or business purposes! Use your new fancy knowledge and check out why commuting to work can actually put money in your wallet. While the commute from home to your regular job is non-deductible, there is still a way to get some money out of your drive to work if you have a second job. If you work your regular job and your second job in the same day, the travel distance between your main job and your second job is tax deductible. Finally, a bright side to working two jobs in one day! Hey, another loophole in your commute being non-deductible! If the location of your regular job changes for one year or less, you can claim the travel distance between your home and this temporary work location. If unexpected circumstances require you to work at this other location for longer than a year, your commute is still tax deductible if your regular work location remains the same. So, as long as your employer expects to have you back at your main working location, you can continue to claim another location as temporary for tax purposes. Bonus, if your temporary work location requires you to stay overnight, you have a bundle of other tax write-offs you can claim. For example, if your job requires you to travel to another state for a day to meet with a client and you must stay in this other state through the night, there are certain travel expenses you may be able to claim. Ordinary and necessary expenses, like a hotel to sleep in and a meal to eat, are tax deductible. But don’t go crazy and check into the honeymoon suite and eat a ten-course meal at a five-star restaurant: ordinary and necessary are the key words here. If you are fortunate enough to work from home, you don’t have to worry about work commute expenses too often. Well, now you don’t really have to worry about them at all, because you can claim the travel distance between your home-office to another work location. Just another reason to work from home if you can. Whenever you drive your car for work purposes, you should claim it. Even if the driving is minimal. For example, if you work at a restaurant chain, and your boss has you drive to another chain to pick up some food or supplies that your location needs, that drive is tax deductible. Think about it, while you are picking up items from another location, that place becomes your temporary work place for a very brief time, right? That means you should be compensated for your commute from your regular working place to this new location. Wouldn’t it be wonderful if tolls didn’t exist and parking were always free? Get a little bit closer to this reality with tax deductions on tolls and parking fees when you are traveling to an outside work location. Meeting a client in the city and are forced to pay three tolls and a ridiculous $20 parking fee out of the blue? Don’t worry, just claim it and try not to think about how much of a scam parking fees and tolls are in the first place. 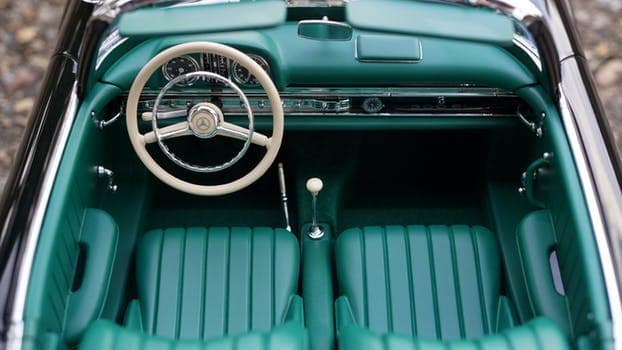 The IRS defines “actual car expenses” as including, depreciation, licenses, gas, oil, tolls, lease, payments, insurance, garage rent, parking fees, registration fees, repairs, and tires. Who knew these things were tax deductible? The only catch is that you cannot claim transportation deductions if you claim car expense deductions; and, no matter what kind of write-off, it must be from work or business use. You must do some personal research and find out which kind of claim, transportation or car expenses, will bring you more money at the end of the year. There are a few charts in the IRS’s Publication 463 that can help you figure this out. If you drive your car 50% or more for business use, you should consider claiming Section 179 Deductions. With these deductions, you claim the fixes and tune ups it takes to combat the normal wear-and-tear of your car, since more than half of them are from business use. Things like oil changes and tire rotations can be claimed if they are not reimbursed by your work or business already. Claim every little thing you do in a company car that is business related. Everything from the gas it takes you to get places from the insurance it takes to protect your car is tax deductible when you are driving a business-provided car for work functions or tasks. There are more than a handful of ways you can get tax write-offs from professional use of your car. But the secret to getting these deductions are good record keeping. If you cannot prove that any of your expenses are business related then unfortunately they are not valid for a tax write-off. There is a whole section in Publication 463 that discusses the basics of good record keeping and how to prove certain expenses if you don’t know how. All it takes is a little organization to get back some of the money you spend on your car for work purposes! How many of these things have you done already this week?